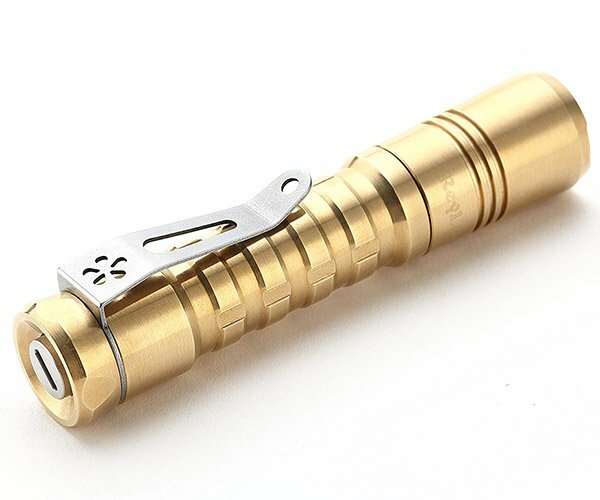 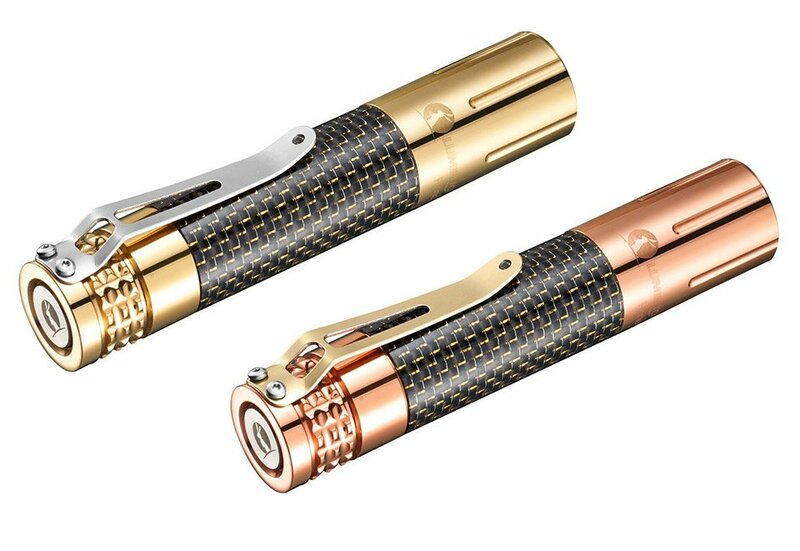 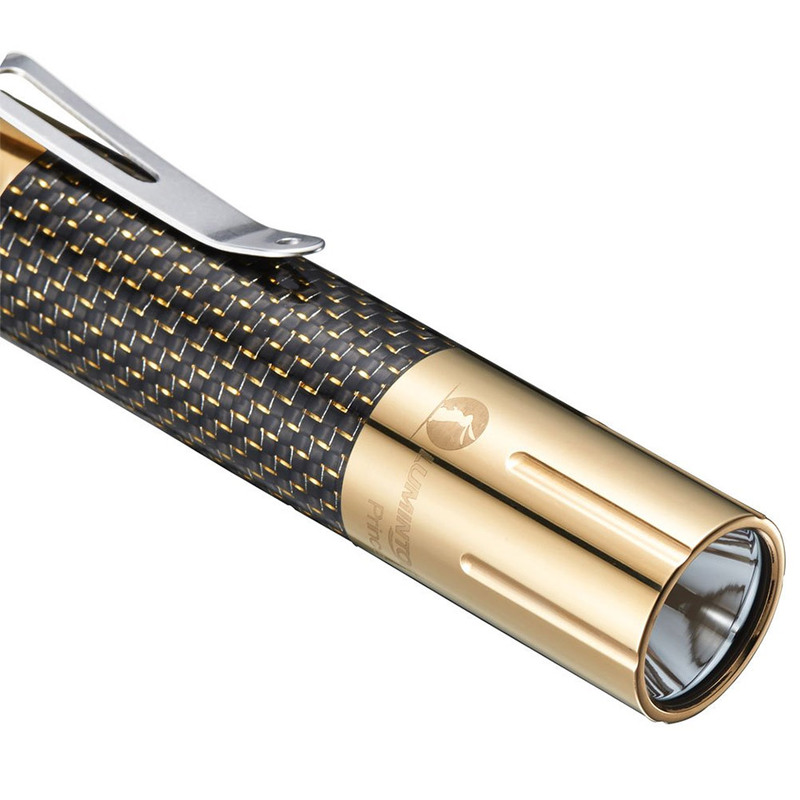 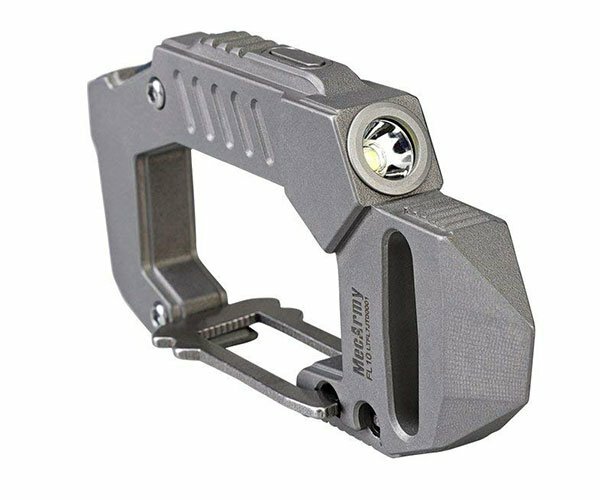 This beautiful flashlight from Lumintop features a case made from real brass or copper, and a center section adorned with carbon fiber. 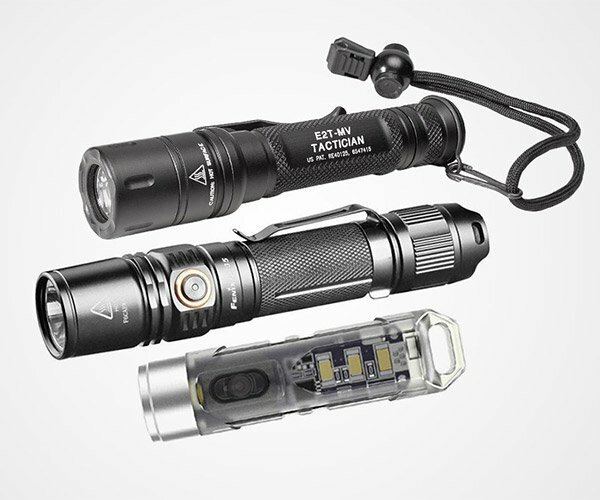 It has a bright 1000 lumen Cree XM-L2 U2 LED light source, and is IPX-8 waterproof. 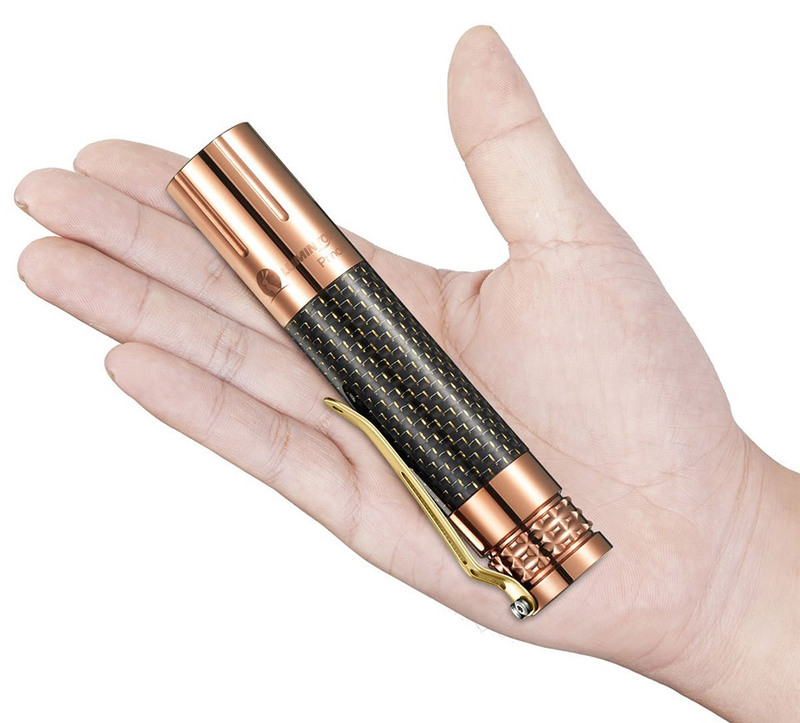 Measures 4.49″ long, and comes with a powerful 18650 battery.